Whenever we send an email to the other person, we generally hope that the email will be opened and they will reply us with some response. Unfortunately, hope doesn’t necessarily mean that it will be done. In fact, there will be times when we are in desperate need to know if the receiving party has even opened the sent email. After all, most of us hate to be ignored. Gmail users doesn’t have any built-in feature to request read receipts or to get email open notifications. That said, there are traditional methods to track email opens like using images, Google scripts, link shorteners, etc. These methods are time consuming and are not easily accessible for all users due to all the technical details. Here is an easy way that doesn’t require any technical knowledge to request Gmail read receipts and to get email open notifications. Of course, the method shown below is not foolproof. 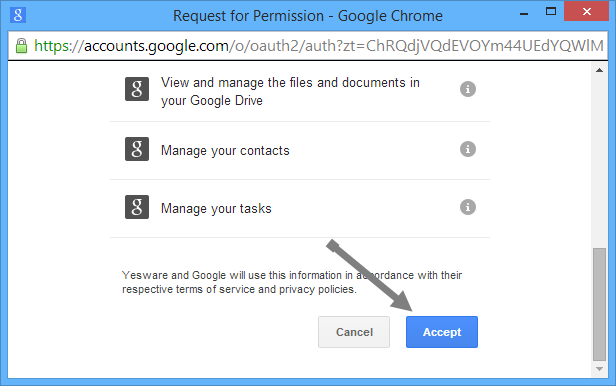 Note: The tip shown here works even when you are using Google apps. The workaround here to track email opens is to use a free web application called Yesware. The working of Yesware is real simple and uses the traditional approach, i.e. this web application inserts a tracking pixel (1 x 1 transparent image) into the email you are sending. That said, Yesware does all the heavy lifting like tracking those pixels and maintaining a record of all the notifications. To get started, head to Yesware’s website, scroll down and then click on “add yesware to Gmail” button. This action will install an extension or addon depending on the browser you are using (Firefox or Chrome). Once you have installed the extension, Yesware automatically opens your Gmail account. Enter your Gmail account password, if needed. 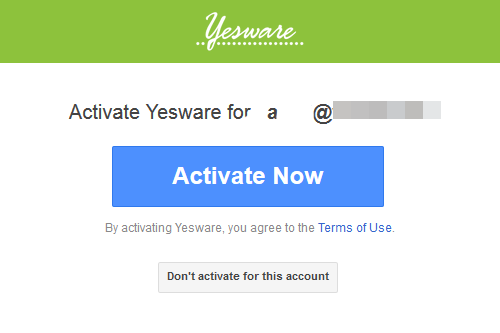 Once your Gmail account is opened, Yesware will show you a pop-up where you have to click the “Activate now” button to activate Yesware for that specific account. Once you have accepted the requested permissions, Yesware will display another pop-up asking whether you would like to connect a salesforce account. As this is not available for free accounts, just click on the “I don’t use salesforce” button to continue. 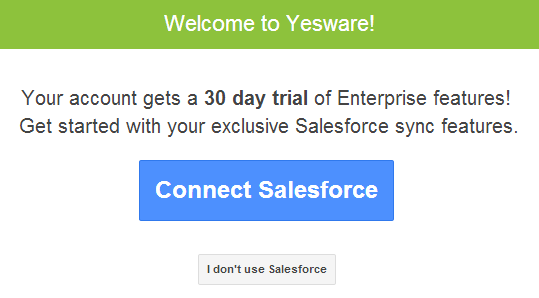 Of course, if you want to integrate Yesware with your salesforce account, you can do so. After finishing the installation process, you’ll see a small ribbon on the top of your inbox displaying various menu items like events, emails, schedule, etc. Now to track any email you are sending, just select the checkbox “track” and then send the message to the intended recipient. Once the recipient opens the email you have sent, the event is logged and you will receive a notification that looks something like this. As soon as you click the “activate now” button, Yesware will open another window where you have to accept for the requested permissions. Go through all the permissions and click on the “Accept” button to continue. The good thing about Yesware is that the free plan supports other features like email reports, email templates, etc. The free account is limited to 100 events per month, which is quite enough for an average user. 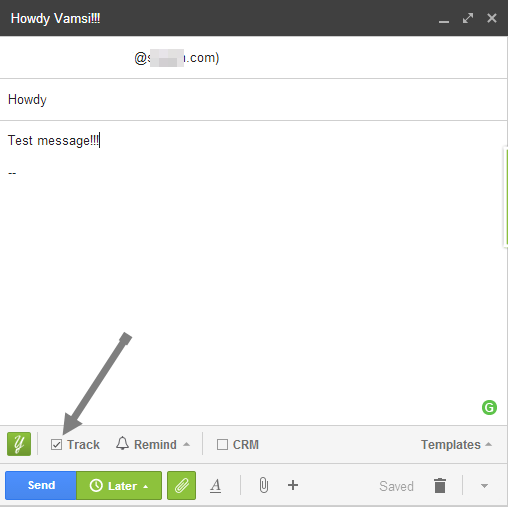 That’s all there is to do, and it is that simple to track email opens in Gmail using yesware. Do you know any other better app to track email opens and to get read receipts?? Do share with us using the comments form below.